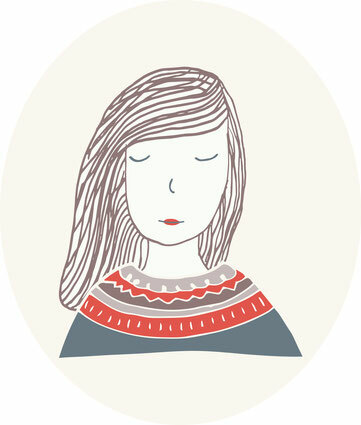 I'm Claire, the designer behind Studio Esperluette. I'm a self-taught French surface pattern designer. I'm currently based in the beautiful city of Lyon, France, but have also lived and worked in Vietnam and Canada. My background is mostly in writing and proof editing, hence my studio name which relates to that other passion of mine (esperluette meaning ampersand in French). I've always had a deep love for patterns and prints. A few years back, I was hooked on pattern design and enjoyed it since then. I love designing colorful, fresh designs, in particular for the kids market. My inspiration comes from my travels and nature mostly. My motifs are primarily hand drawn and then brought into Illustrator or Photoshop to create beautiful patterns that convey a story. Pattern Observer blog, as well as in the Uppercase newsletter. Please get in touch if your are interested in working together!